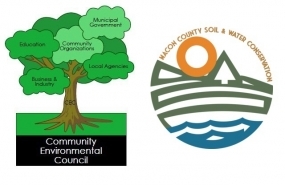 November 8 – Natalie Misner of the Macon County Soil and Water Conservation District will be the guest speaker at next week’s quarterly membership meeting of the Macon County Community Environmental Council. Misner will discuss the Heart of the Sangamon partnership and its works during the meeting in the Decatur Public Library’s Madden Auditorium at 6 p.m. Tuesday. Refreshments will be provided. Anyone interested in promoting conservation, preservation, restoration and environmental awareness is invited to attend the informational meeting to gain a better understanding of the Community Environmental Council and its role in the community. For more information, contact Judy Parrish at jparrish@millikin.edu.